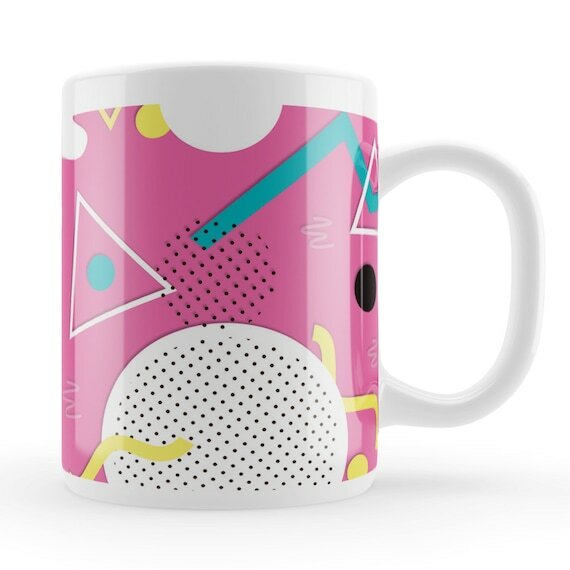 This abstract block colours design by ZebraFishHome certainly has an 80s vibe. 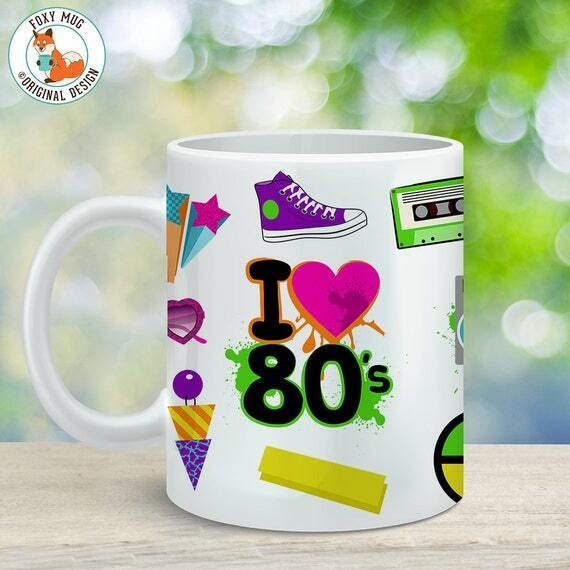 This bright and colourful mug designed by FoxyMug is the perfect item for anyone who wants to show their appreciation for the great decade. 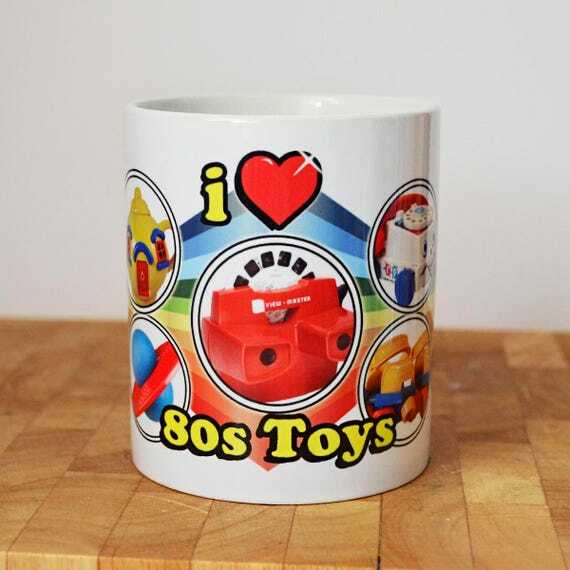 This mug will certainly remind you of your childhood, and contains photos of classic toys including the View Master, the phone with a face that everyone had back then, the Rubik's Cube (I still haven't solved it! 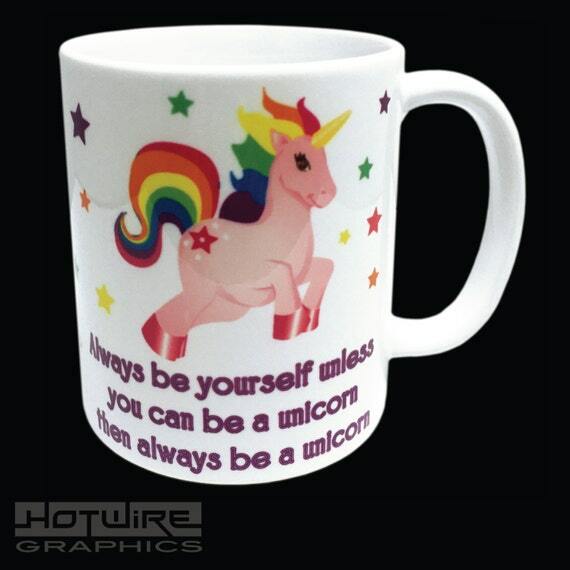 ), My Little Pony and some others I recognise but have forgotten the name of!. 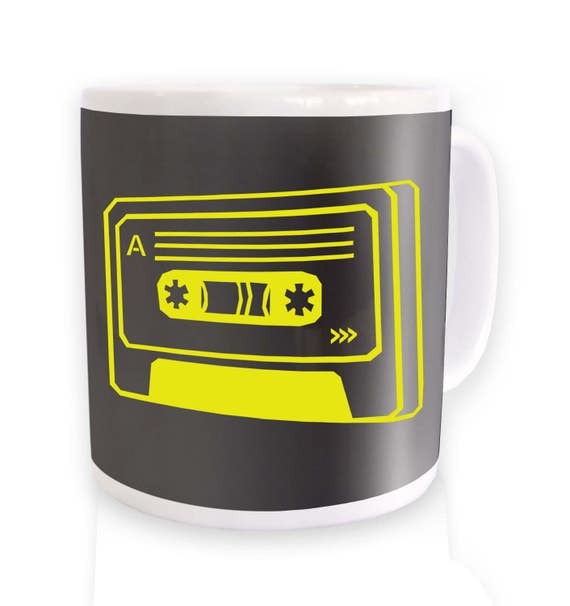 It's very nicely designed and would make a lovely gift for someone of a certain age. 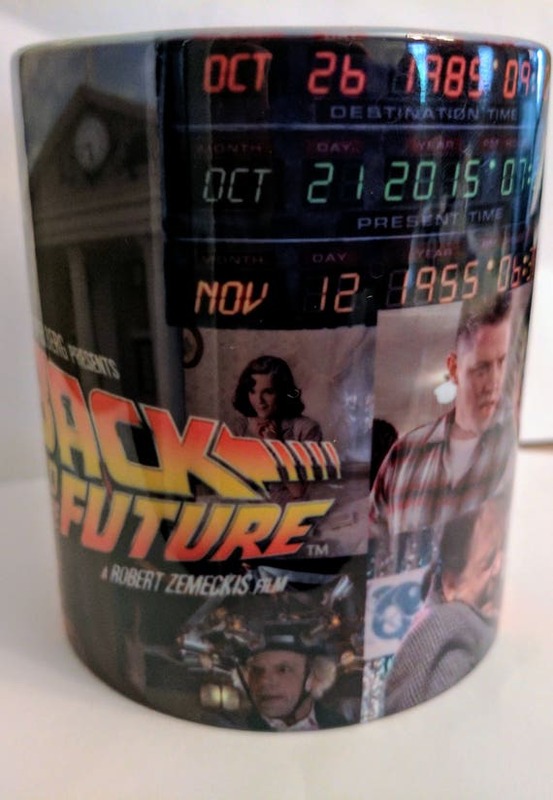 Well, this is a clever design and uses the Rubik's Cube as a background. 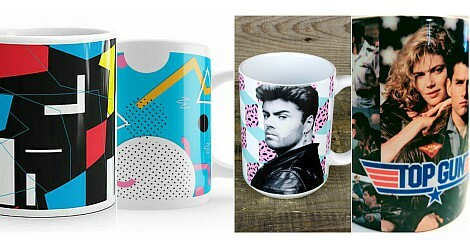 Remember when roller discos were all the rage? 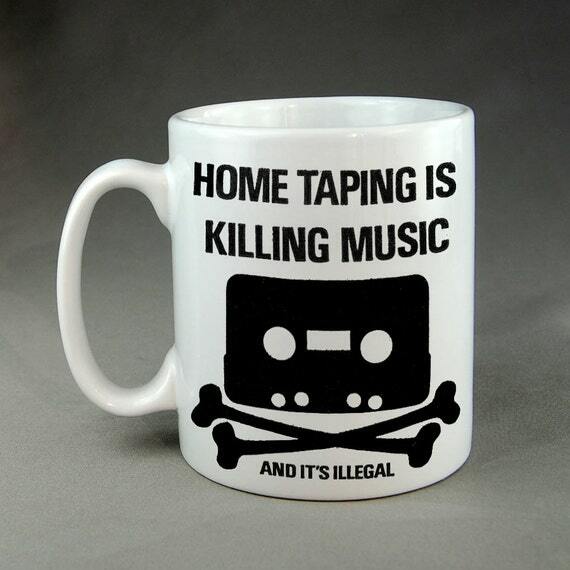 Actually, the only time I went to one was on a school trip to Paris. 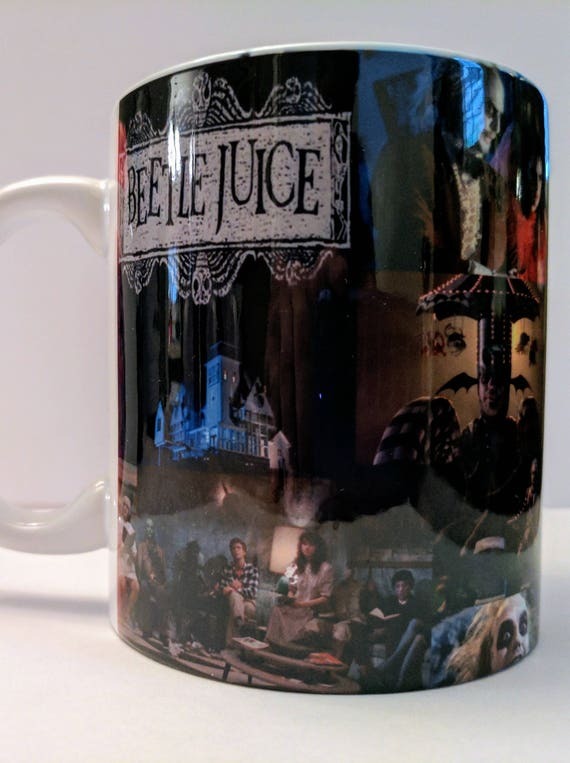 I was utterly useless and never ventured into a roller skating rink ever again! 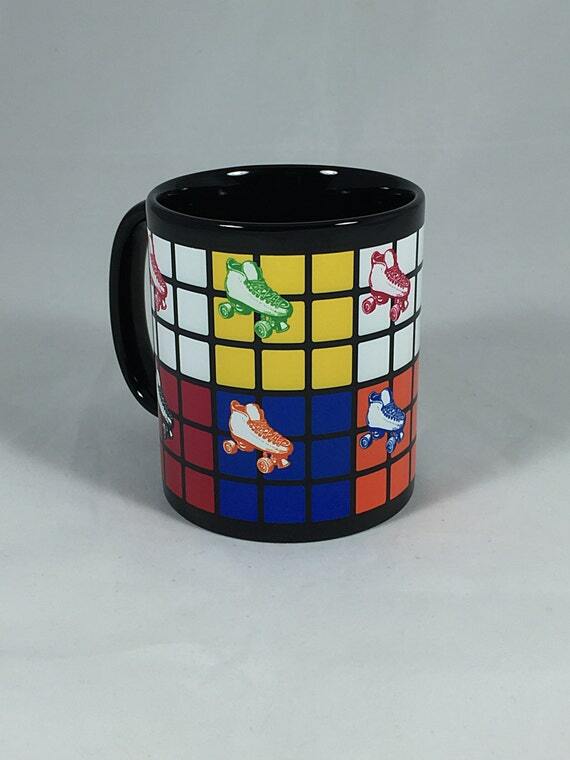 Nonetheless, I love the quirkiness of this mug and it would be the ideal gift for anyone who tried to solve the cube whilst dancing to Odyssey on roller skates. 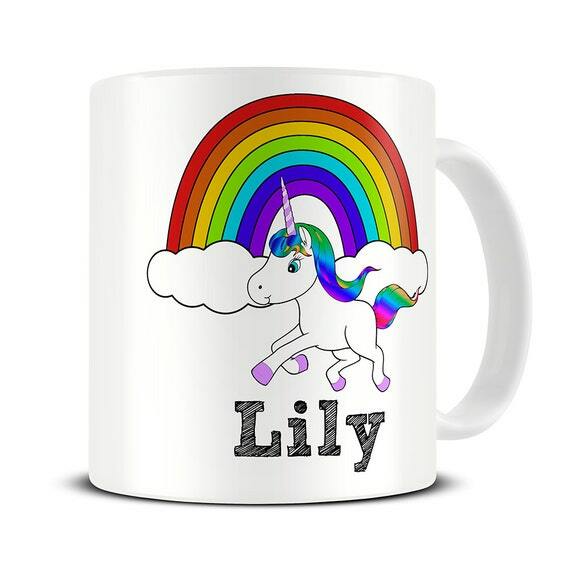 You may remember the unicorn and rainbows craze that started in the late 70s/early 80s, which seemed to gather pace after the release of rainbow and unicorn themed My Little Ponies by Hasbro. 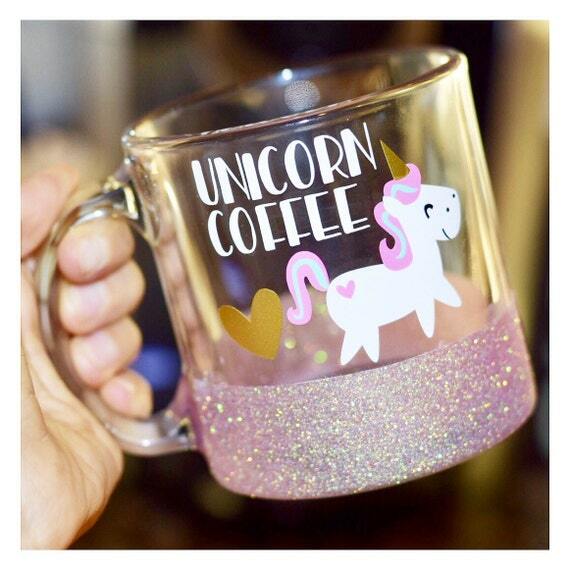 This mug with it's amusing message and starry background is must have for any unicorn fan! 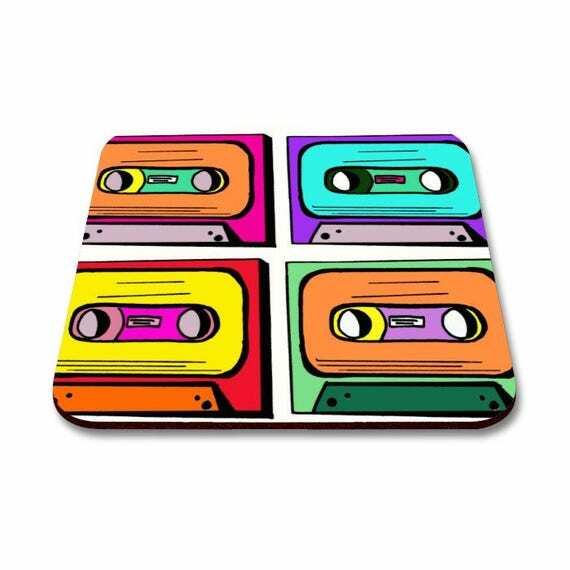 This colourful, neon pop arty cassettes design will remind you of the time spent trying to record the Top 40 without the annoying DJ's voice. 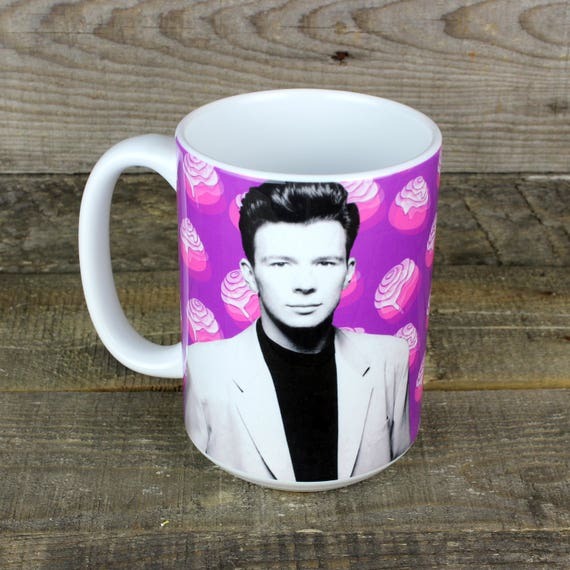 I love bright colours, and, therefore, love this mug! 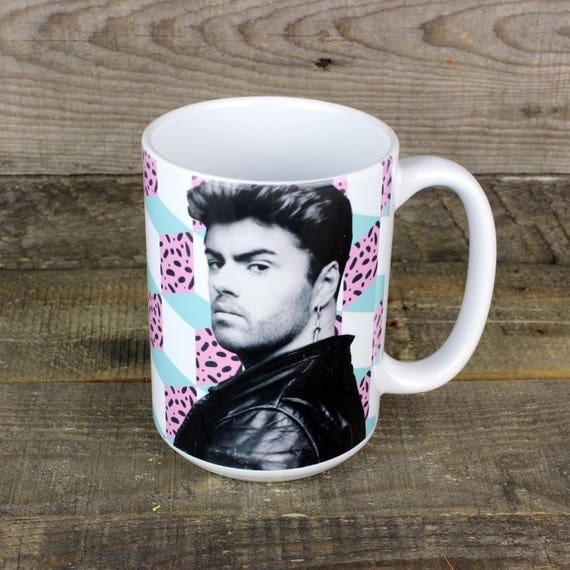 If you're a fan of George Michael, then will you be able to resist this next item? 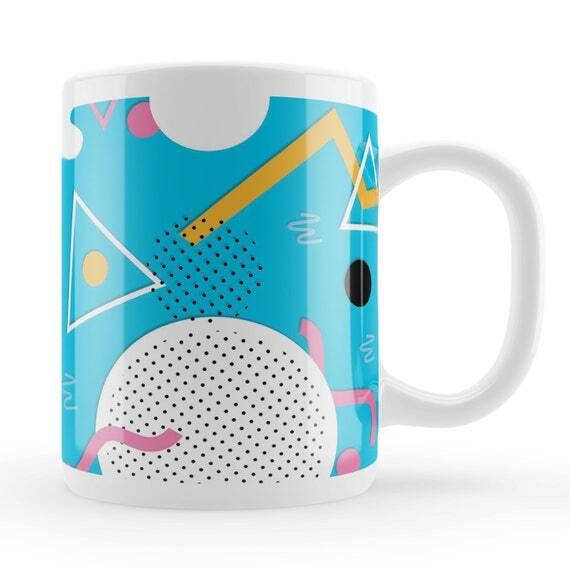 Just love this design by VictoryScreechLabs, and the 80s background adds a nice finishing touch. 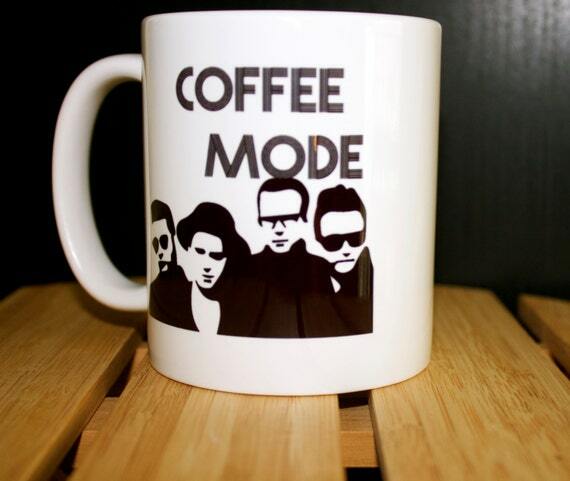 Now, this is a clever design and is proving to be very popular indeed - love it! 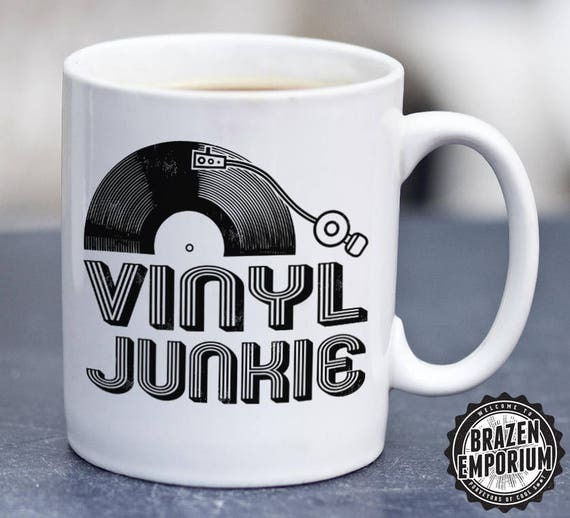 you can't decide which one to get! 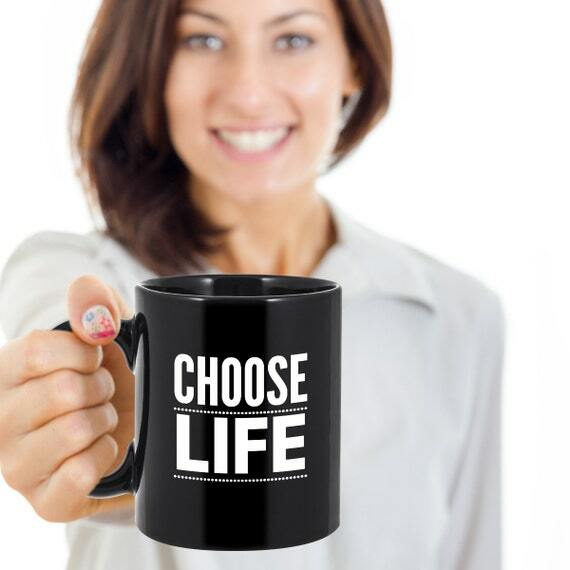 Above are more popular designs by VictoryScreechLabs. 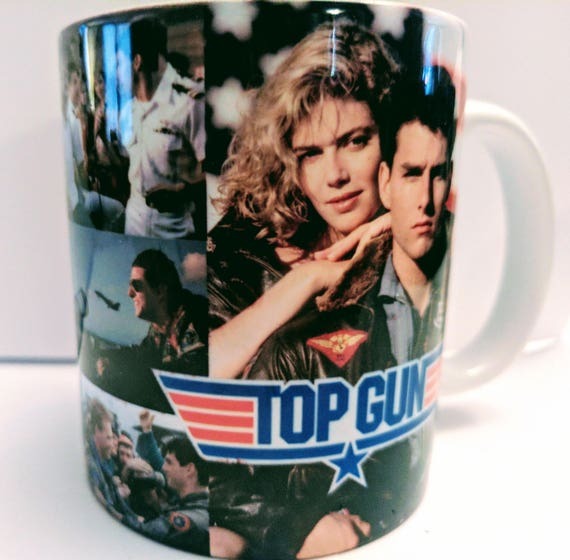 Love the 80s backgrounds and the photos really stand out. 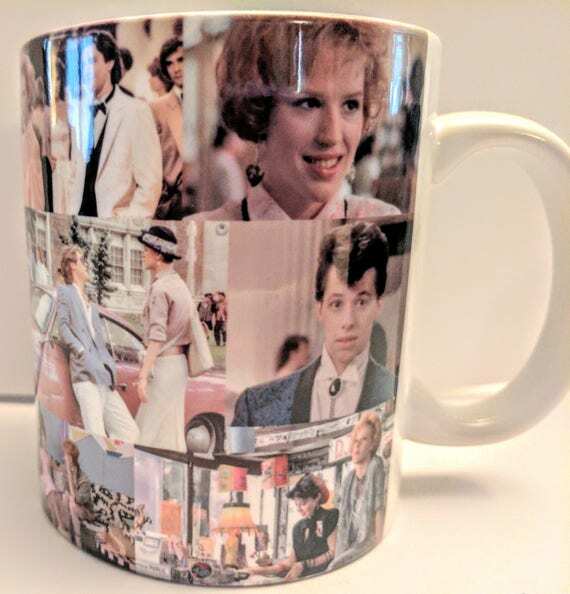 Can you imagine having lived through the 1980s without watching a John Hughes film? 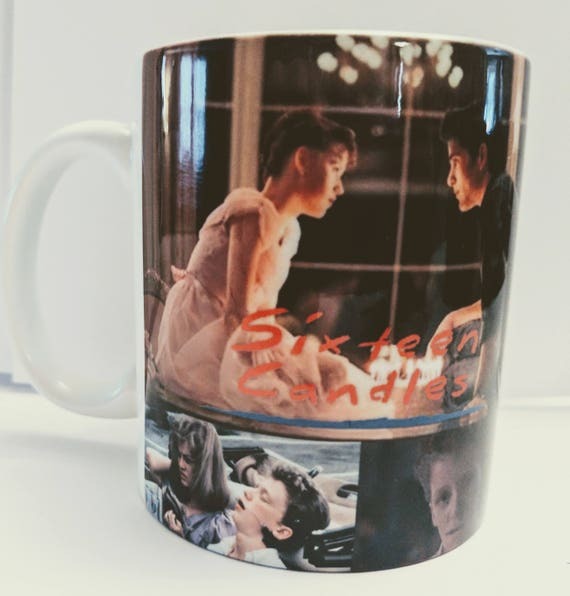 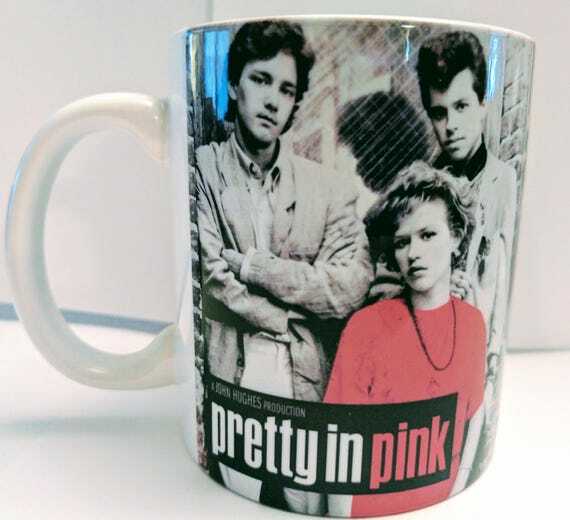 This Pretty in Pink mug by SouthernGirlBigCity features the characters from the movie and the low price makes it good value, too. 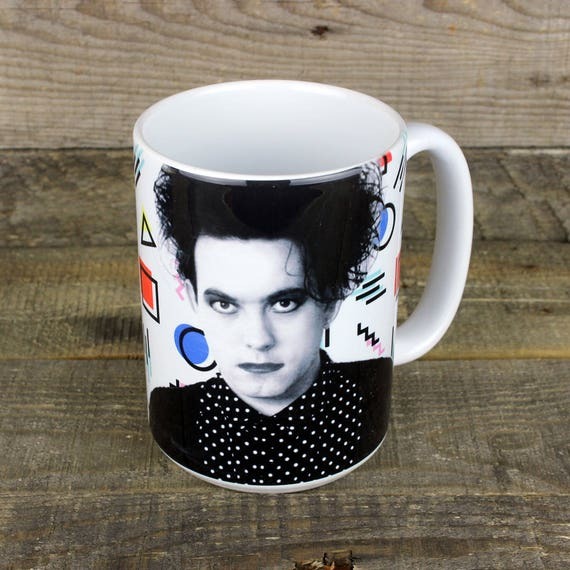 I don't normally like photo mugs, but this lady has managed to convert me with her tasteful designs. 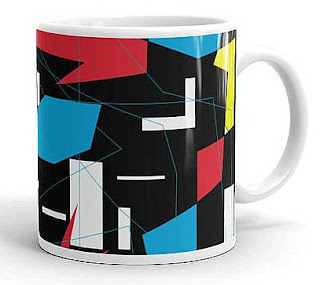 I also came across a full range of these ZX Spectrum mugs by NepsisDesign. 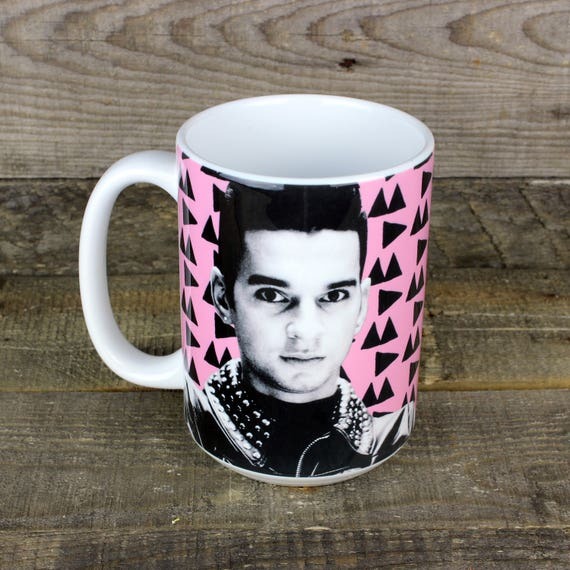 As I write, each mug is just £5.99 plus shipping. 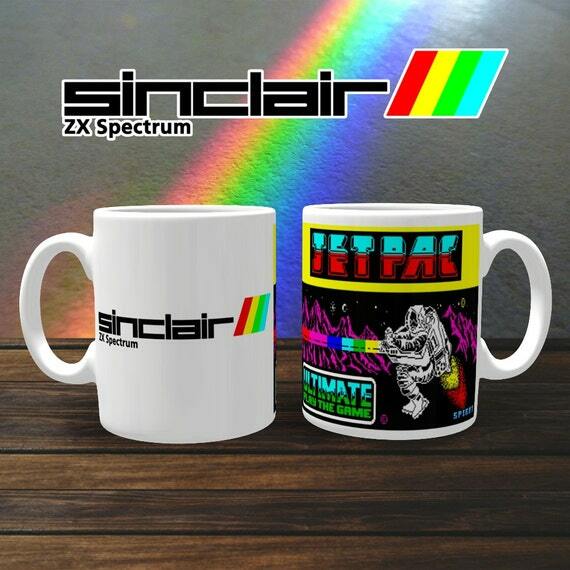 Each mug features the Sinclair ZX Spectrum logo on one side, with popular 8-bit game graphics on the other side, such as Jetpac as shown above. 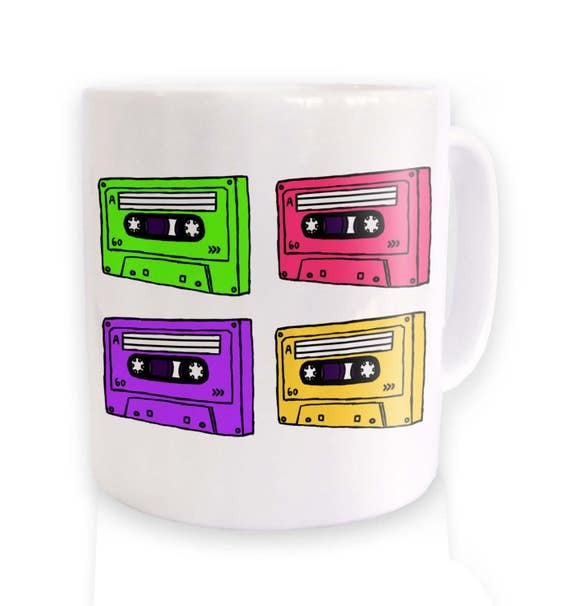 They really look magnificent and would make a superb gift idea for Speccy fans. 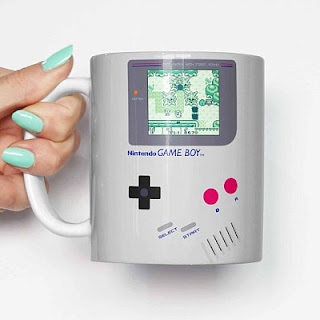 This Game Boy mug looks fantastic and judging by the number of reviews, is proving to be very popular, too. 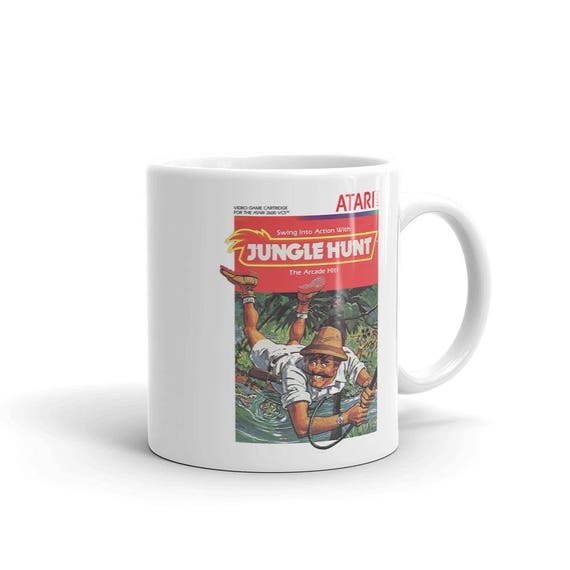 Of course, Atari is another tech company that was huge in the 80s, and just about everyone had at least one of their consoles/computers, or indeed played the many games released by the company. 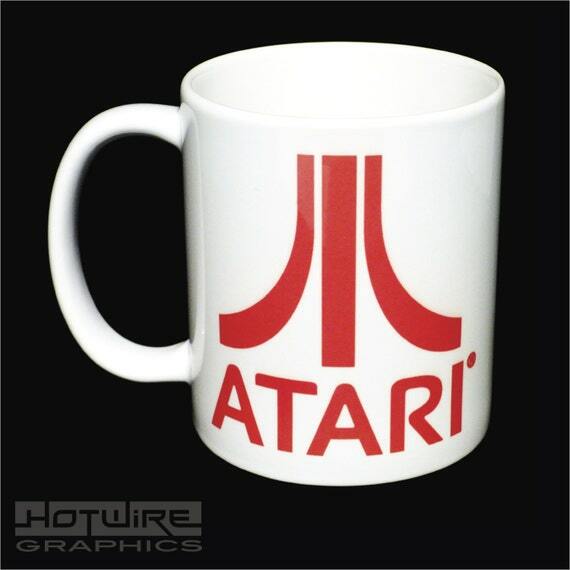 I like the big and bold display of the Atari logo on this mug which is also good value. 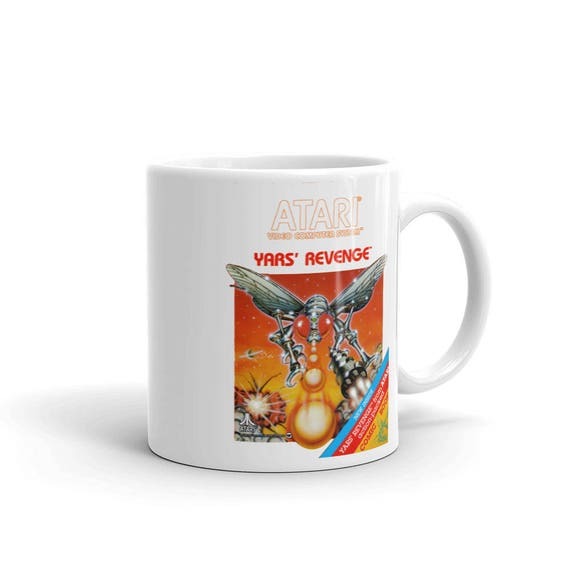 However, there are some awesome Atari 2600 game themed designs available by ModernRetroLiving who also do a fantastic range of Atari and Nintendo mugs and T-shirts.